Are you looking for a commercial fit out company in Dubai? You are in the right place. The main direction of Spazio company is the design and fit out for commercial premises. We carry out a full complex of finishing works for objects of any functional purpose. We offer solutions in accordance with the corporate style of the company and the preferences of the owner. Our designers take into account the specifics of client's business. We guarantee exceptionally high quality of work and reasonable cost. to develop a unique design of premises, which will become a "business card" of your office. A beautiful design combined with the ergonomics of the space will not only make a good impression on customers, but also significantly increase the productivity of staff. Comfortable office to improve efficiency. Stylish store for high sales. Creating a pleasant atmosphere, comfort and coziness. A stylish and comfortable salon to get loyal customers. where guests will want to stay again and again. Fit out of hospital buildings and premises. Spazio company has commercial interior fit out teams. We offer the client only realistic deadlines and strictly observe them. Our prices are based on an estimate. If you are looking for the optimal balance of prices and quality, then you are in the right place. 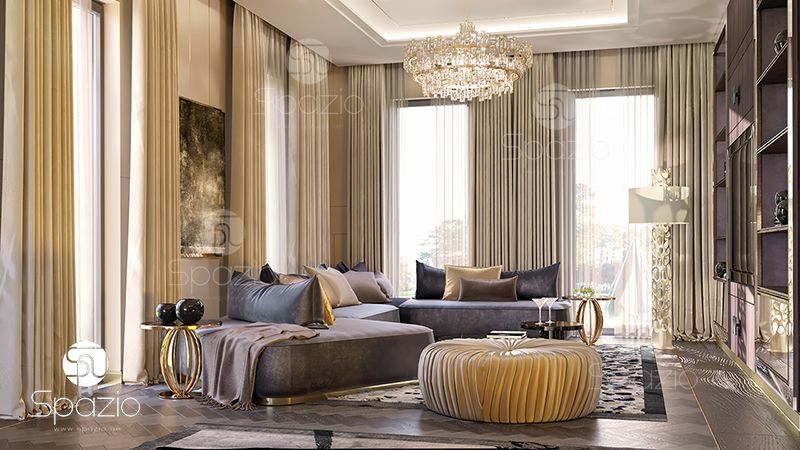 You will receive all the necessary services in one place: design project creation , the approval of the controlling organizations, the execution, the filling with furniture. We are always looking for the best solution for clients, therefore we always recommend to develop a completed design project of the commercial premises, which will allow us to combine the execution of construction tasks and the creation of an original interior. In accordance with the project, we make the estimate documentation. Look at the prices for the design project. The cost of fit out for a commercial space depends on a number of its features. To make an approximate calculation this is there is required to know the details of the project. Contact the friendly Spazio managers to make a cost estimate. Type of you commercial object: shop, office, restaurant, salon, etc. Leave your request for commercial fit out costs to our online consultant Liza.